Initially we were looking for something very different. 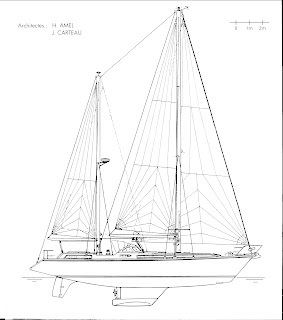 We wanted a small easy boat with no bells or whistles that we hoped would be low maintenance and easy to sail. As we looked at boats they gradually became bigger but it wasn't until Mark's brother gave him a good talking to. "If you are going to do this than do it right. Buy something you'll be comfortable in." Thank you Mike! We decided he was right. We had no house, were selling our cars, putting the important stuff in storage and planning to do this for the foreseeable future and we knew that we would probably have kids along the way. We still weren't looking for more than a few key things: storage, a center cockpit and a pilot house. Well pilot houses are hard to come by and eventually a broker suggested an Amel. There was one for sale that we looked at and put an offer on straight away. It didn't work out but we knew from then on that we wanted an Amel it was just a matter of finding the right one. 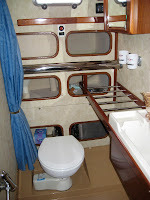 We truly believe they are made for this purpose, a couple or small family actually living aboard. They are true blue-water boats with many of the comforts of home. There are water-tight bulkheads in which two full compartments can fill and the boat should still be sailable. We hope to never test this out but it does give us a bit of comfort. The center cockpit with pilot house is large, deep, and very safe. We are comfortable in it and hardly ever get wet. We feel completely confident that sailing with an infant will be fine. Except for the mizzen traveler the sails can be basically set from the cockpit. This is fantastic because it only takes one of us to tack the boat at night if needed. The center cockpit allows for a rear master stateroom so we don't have to crawl in and out of bed and have some extra space to move around. 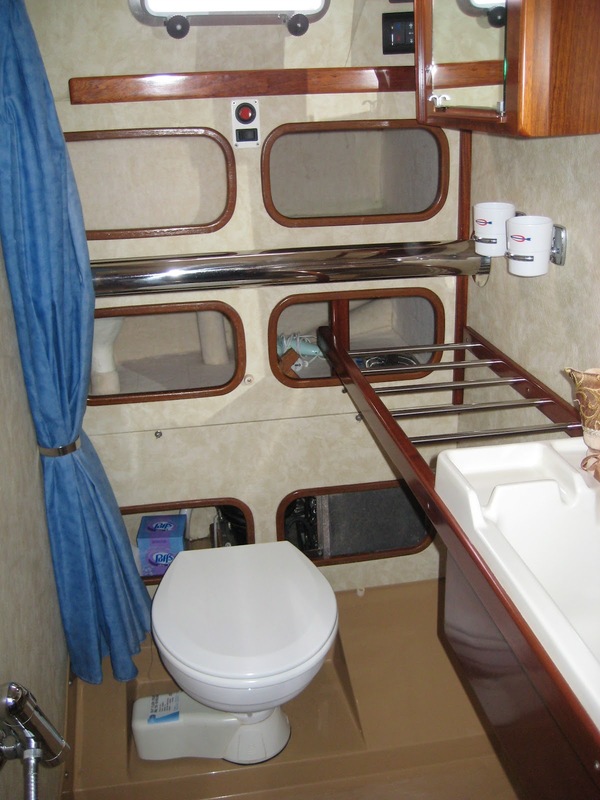 We don't have separate showers but we don't shower over the toilet and we do actually have a shower which many boats don't have. The engine compartment is huge making it must easier to do work on. No climbing under the gangway for Mark. Lots and lots and lots of storage - and yet I've filled it all up and always trying to figure out new ways to store stuff. Things I wasn't looking for but am glad we have: a dishwasher, lots of freezer space, washer/dryer. There are two autopilot units (one linear and one rotary). We didn't realize when we purchased the boat how great this design feature is. We have heard of so many boats having to hand steer for days. We too have lost an auto-pilot underway, but we just flip the switch and keep moving while Mark repairs it if possible. Amel started this project many, many, many moons ago. 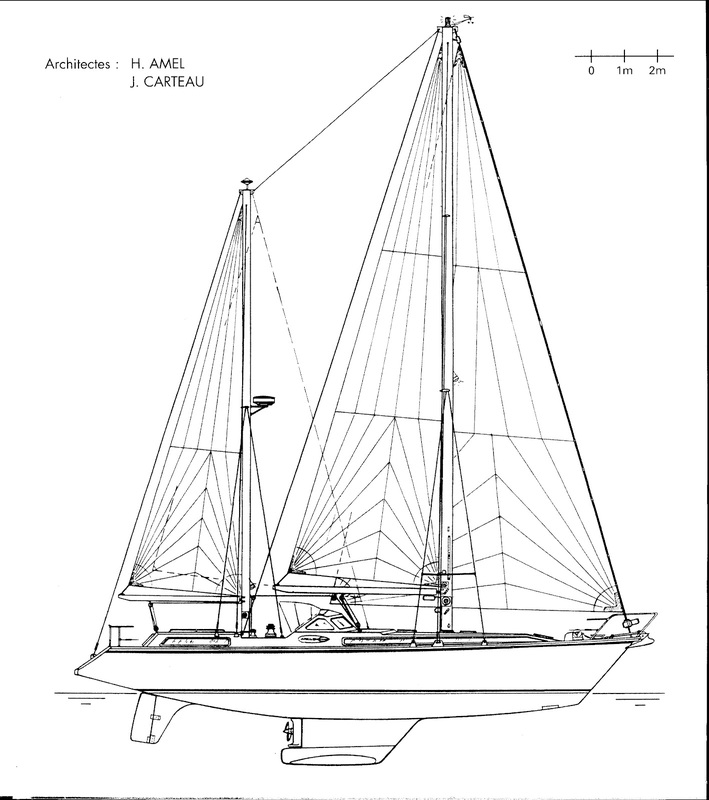 Until recently, no major design changes were made to the boat. They got bigger over time and updated but only small changes were made each year. They build about 32 boats a year and purchase all the parts to do so in one batch at the beginning of the year. There are only one or two options, everything else is standard. These boats really are made to sail so it's a too bad that for the first couple of years this boat really did not do too much. It was the demo boat for the US Amel broker, Joel Potter. If you sailed with Joel in the early 2000s you may have just been on this boat. The boat was sold a few years after it was built and circumnavigated once before we found her and decided we'd make her our home. Back then she was called SV Doodlebug: you can read their blog: http://sv-doodlebug.com.